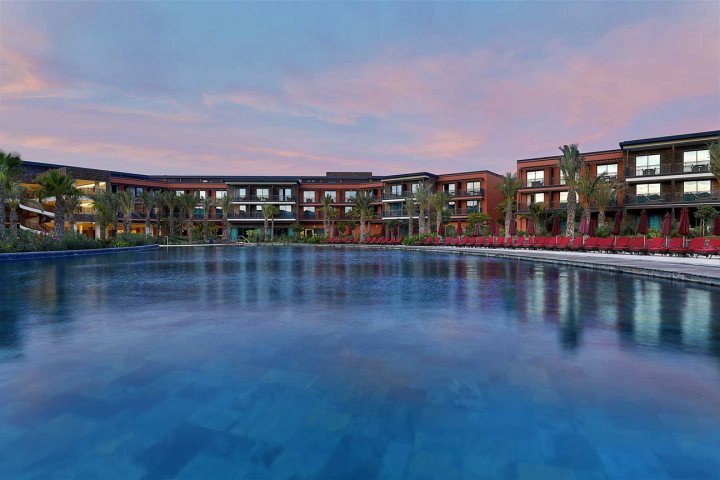 Blog > Why book a holiday at the Hilton Cabo Verde Sal Resort? 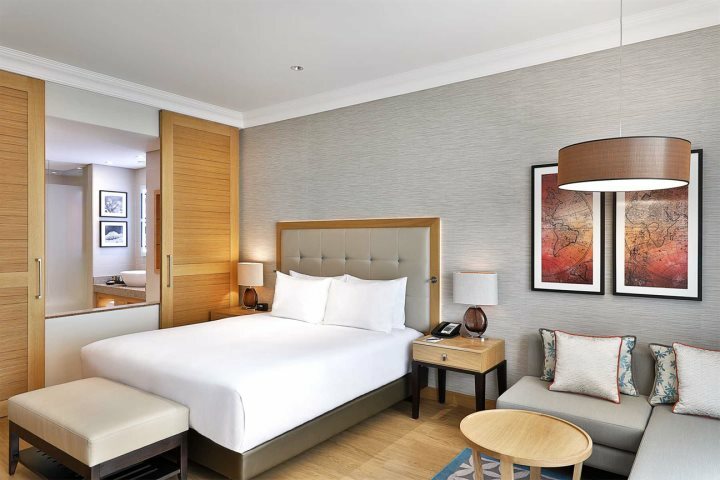 You may already be well acquainted with the top-class facilities found at a Hilton hotel, and this resort is no exception. 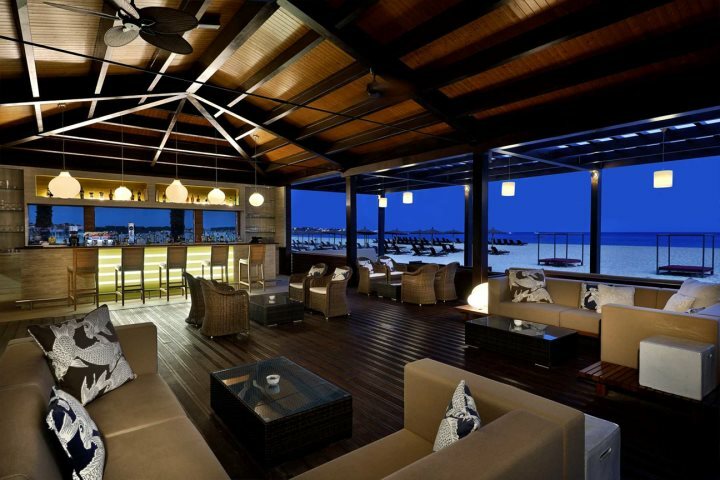 Two restaurants including a fabulous beachfront option serving Cape Verdean specialities are on offer, along with two bars offering all your favourite holiday beverages. 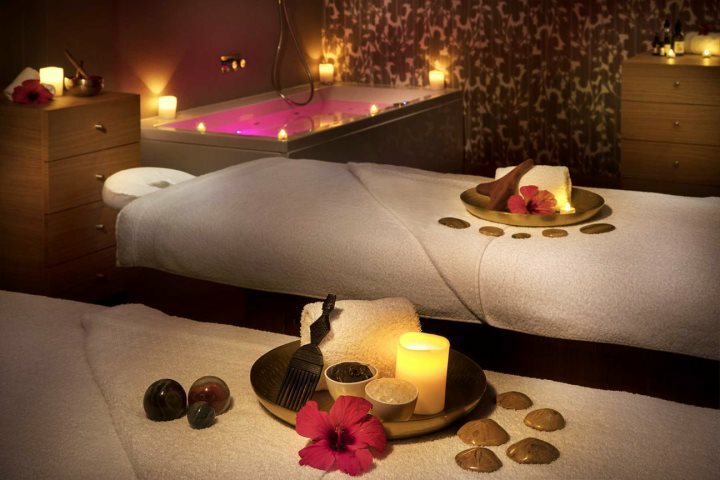 If you find nothing more relaxing than an extensive spa, you'll be pleased to know that the resort's Eforea Spa features not just your sauna and steam rooms, but a thermal lounge, ice rooms, treatment rooms and beauty facilities. Try your hand at windsurfing, kitesurfing, diving, kayaking and more at the on-site Atlantic Star Nautical Centre, or take a personal training session in the Fitness Centre, the choice is entirely yours. Find out more about the water sports centre. 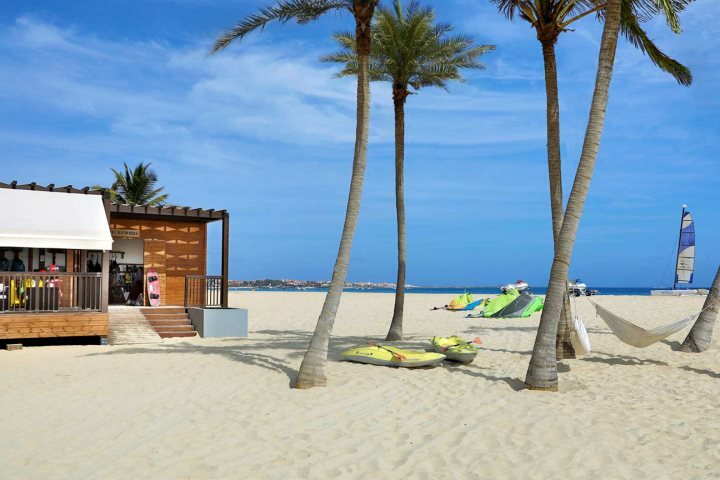 If your children are not entertained solely by pool days, the Hilton Cabo Verde offers a club for 5-12 year-olds with lots of activities to keep them happy whilst you relax. Found along Sal's most popular bay, Santa Maria, guests find themselves in an ideal location for both relaxation and things to do. 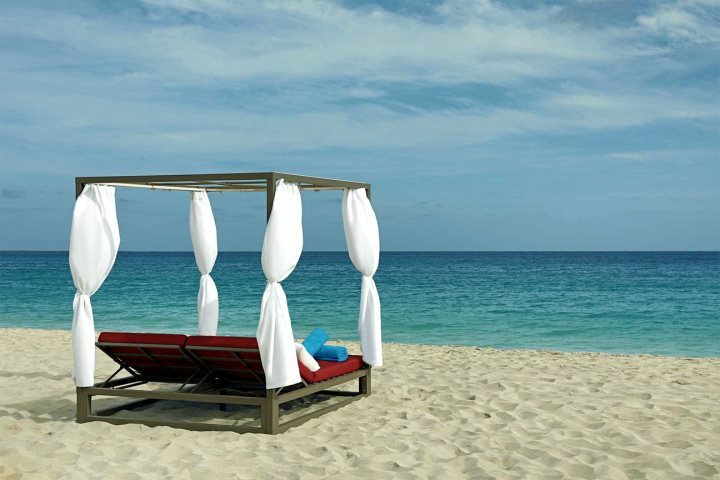 The soft golden sands are lapped by turquoise waters, and you're far enough around the bay that it's less crowded. However, just a 20-minute stroll will bring you to the bustling pier, where fishermen bring in their catch of the day to sell, and a further few minutes is the main town. 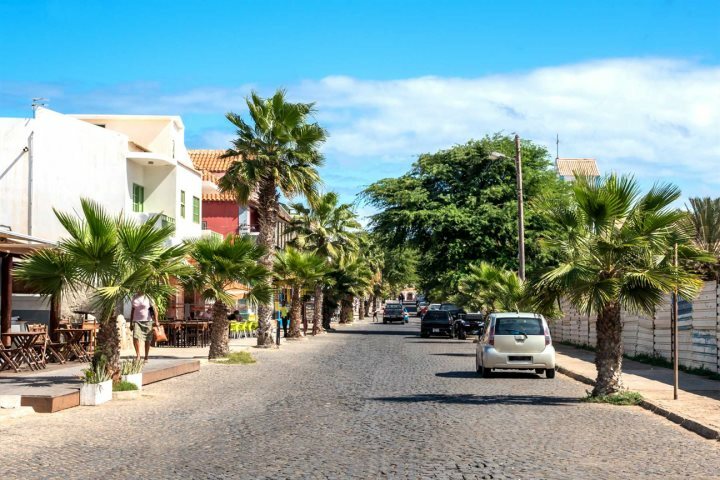 Home to ample shops, bars and restaurants, you can soak up Cape Verdean culture and enjoy all manner of cuisines, before taking a romantic stroll along the beach back to the hotel. Find out more about Sal island in our guide. 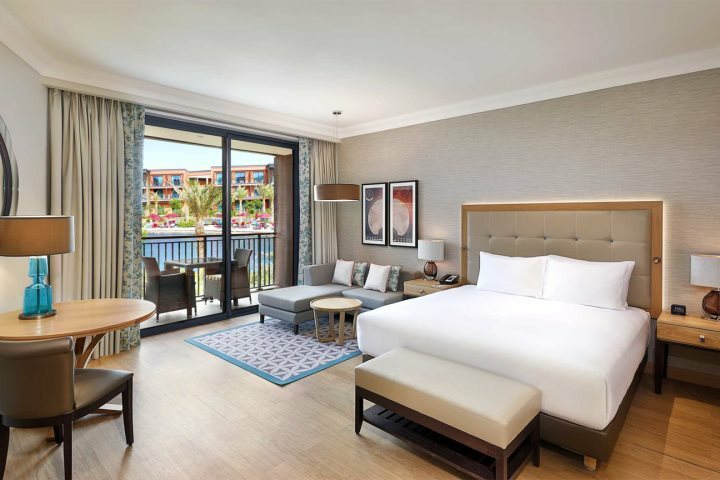 If you need to catch up on a little sleep, you won't be disappointed by the classy and luxuriant rooms that await at the Hilton Cabo Verde. 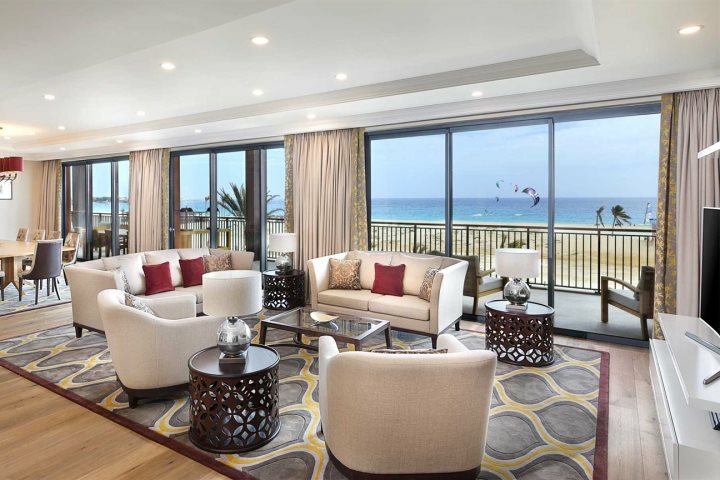 Starting with the King Guest Rooms which feature elegant furnishings and spacious bathrooms going through 10 additional room types to finally meet the Presidential Suite, an exquisite penthouse facing the ocean, there's a room to suit every taste. We're also lucky enough to have UK exclusivity on the Deluxe Rooms at the resort. 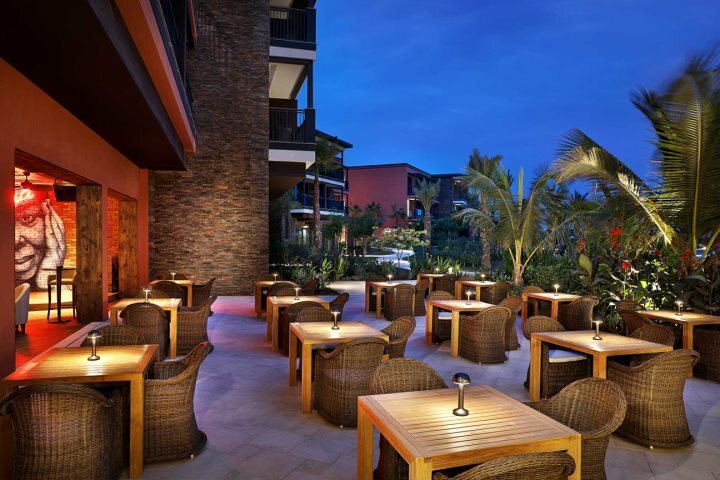 What do our customers think about the Hilton Cabo Verde? 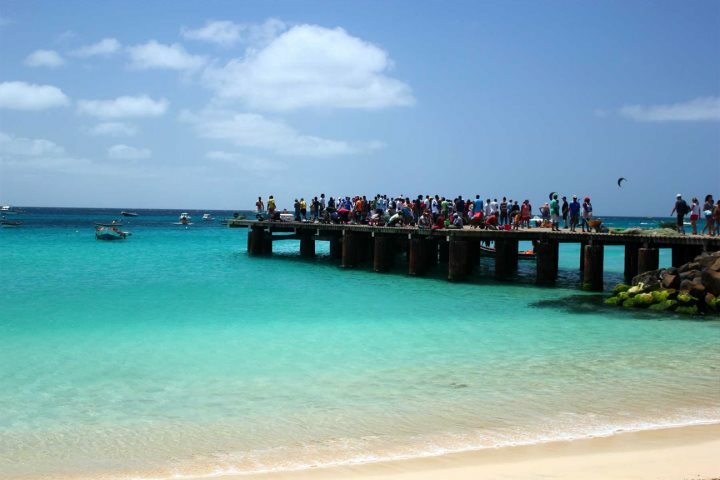 If Cape Verde has caught your eye as your next potential getaway, don't just take our word for it. Below we share just some of our customer feedback, which has led to the Hilton Cabo Verde Sal Resort winning our award for 'Excellent Customer Feedback 2018'. 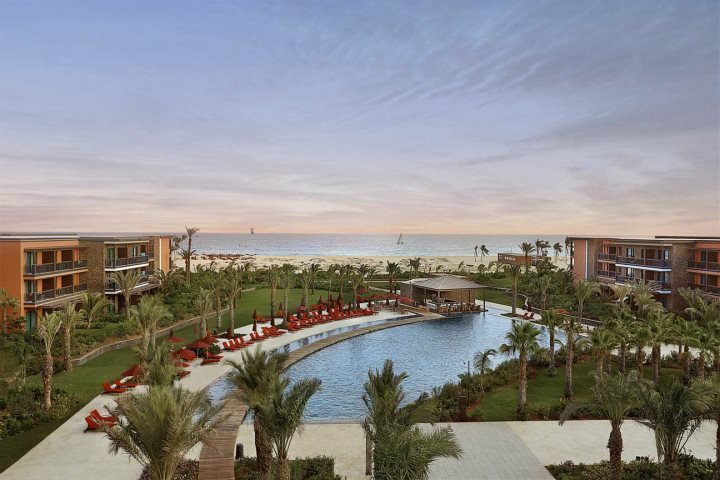 With prices starting from £948pp* saving a massive £501pp departing 29th Jan 2019, you can book your winter sun escape to this incredible resort now. Don't forget, not only do we include flights, your hotel and private transfers in our holiday packages, but you can start your break in style in the UK airport lounge, plus you'll get to your hotel in speedy fashion thanks to our inclusion of your tourist visas too. We include these additional benefits with all our holidays to help you have the best, most memorable experience possible. You can read more customer reviews on our Feefo page.